Is your dad a superhero? Make him this cool comic book frame as a gift! 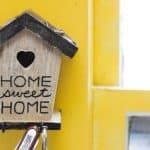 It’s a fun, budget friendly project that any guy will love. 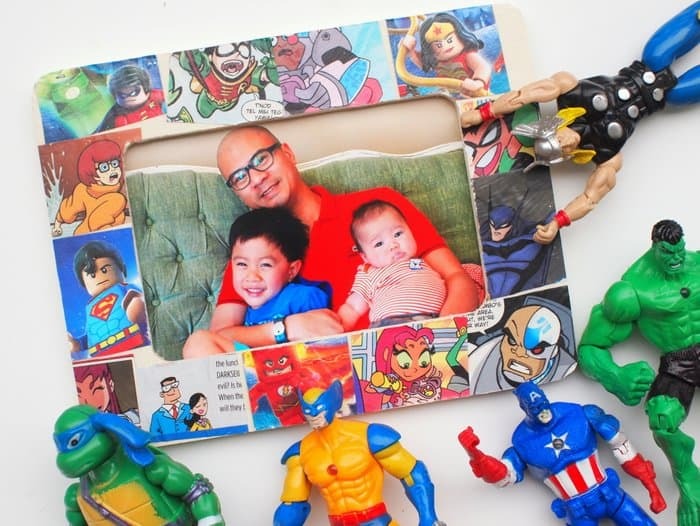 Looking for a really fun way to celebrate the super dad in your life? Hi! It’s Leslie from Pink Stripey Socks. 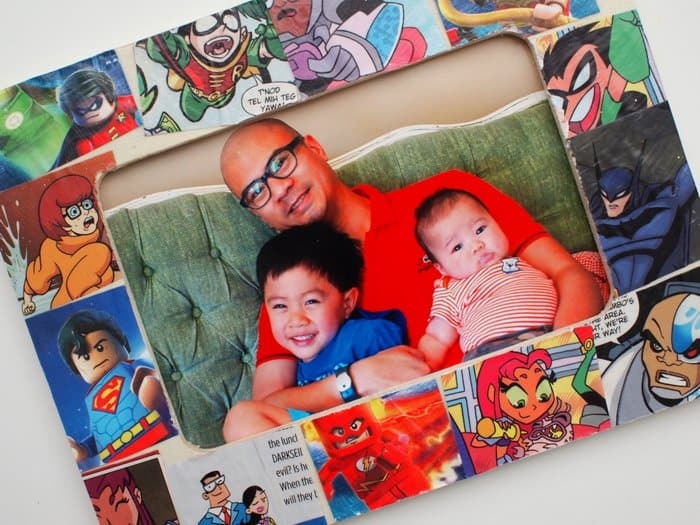 Father’s Day is right around the corner and my son and I made this really easy comic book frame for my husband. My son and I really enjoyed making this craft together. 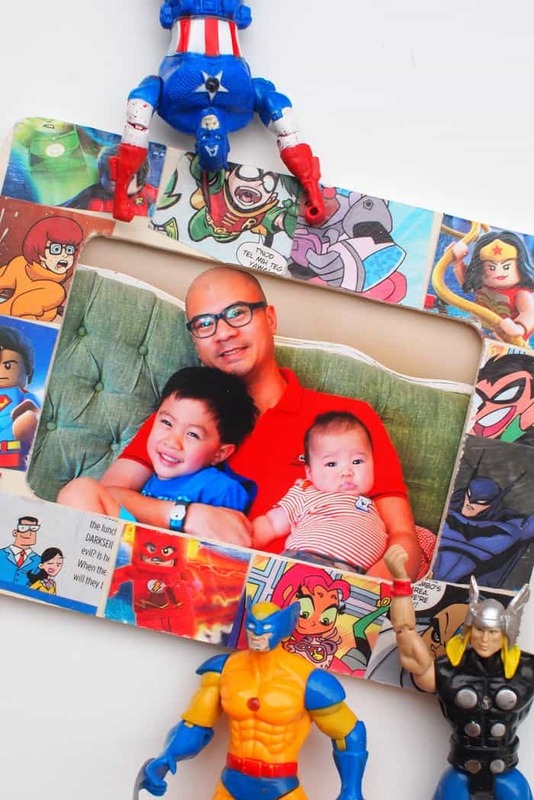 He’s currently obsessed with super heroes and loved making this special comic book frame for his super daddy! 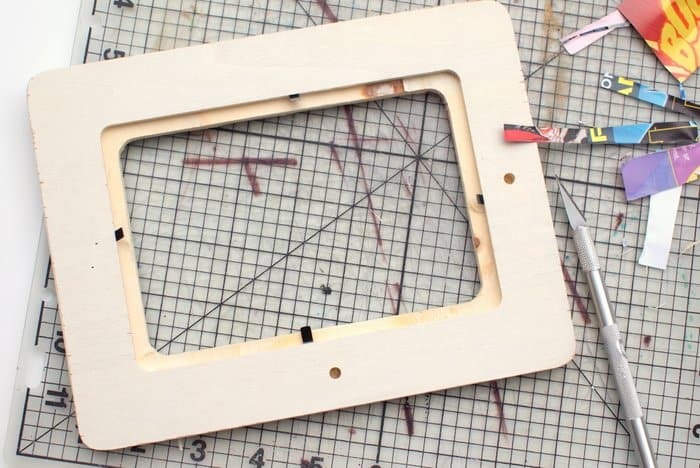 Let’s Make a Super Frame! Step 1: Cut out squares of paper from your comic book. 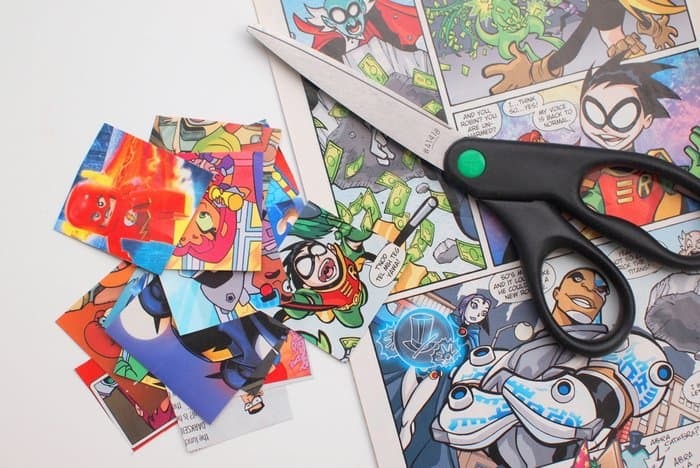 If you don’t want to cut up a comic book, get laserjet color copies made at your local print store. Make sure they are laserjet so they won’t bleed when Mod Podged! Step 2: (Optional) Sand your frame. 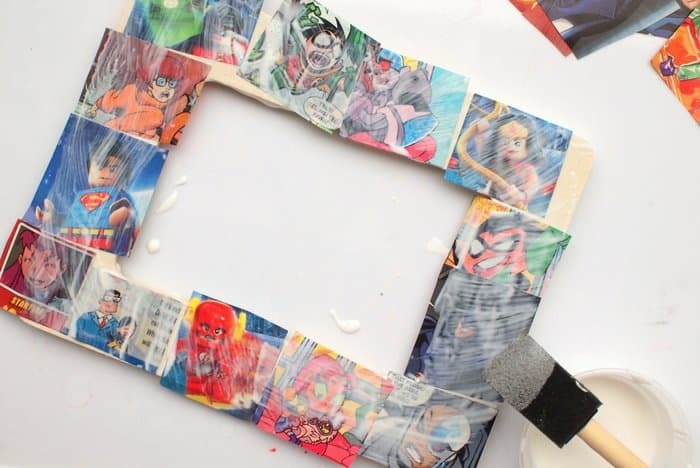 Once all the images are adhered to the frame, cover everything with a thin coat of Mod Podge to seal it in place. Step 4: Once the Mod Podge dries, flip the frame over and cut off any excess bits with a craft knife. 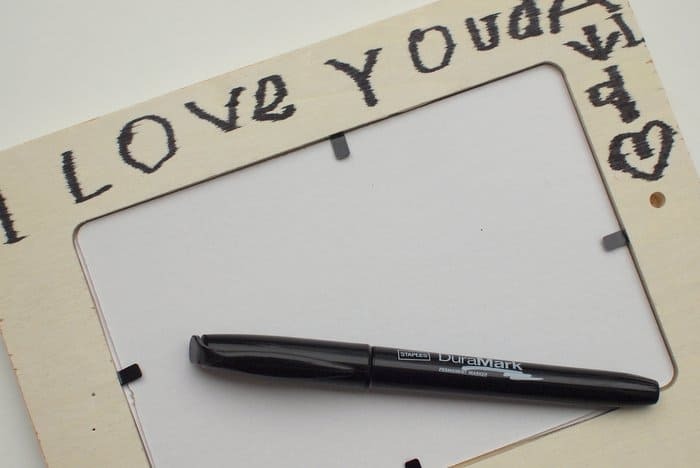 Step 5: Add a special message to the back of your frame with permanent marker. Step 6: Put your photo in and you’re all set! It was really sweet to see my son so proud of this handmade gift. 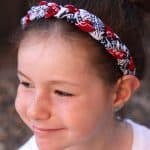 I hope you try this craft with your kiddos too! 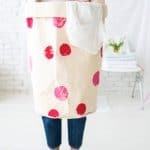 And if you like easy, unique, and modern kids crafts, check out my blog Pink Stripey Socks. 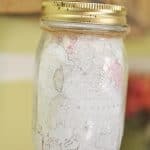 Or, you can find more creative inspiration on my Facebook, Instagram, and Pinterest accounts too. Hope you have fun making new memories and celebrating Father’s Day this weekend, friends! For more comic book crafts, we have an amazing roundup – see it here.